Seeing a film at the BFI IMAX is like nothing else - digital surround sound, a screen almost as high as five double-decker buses, 489 seats (including 69 premier seats), and that's just inside the auditorium. The giant glass drum of the BFI IMAX, London's (in fact, the UK's) largest state-of-the-art cinema, boasts a 20m by 26m cinema screen and a sound system of over 12,000 watts. It was originally designed by Bryan Avery Architects and completed in 1999. The venue as won a number of prestigious awards at the time of opening, including a Design Council Millennium Product Award in 1999 and a Civic Trust Award in 2000. BFI IMAX is owned by the British Film Institute and since July 2012 it has been operated by ODEON Cinemas. Although the IMAX has an underground line just four metres below, it is totally sound and vibration-proof, with the entire upper structure sitting on anti-vibration bearings. Film lover's book tickets and travel from across Europe for the immersive experience of the latest blockbuster or classic re-release. There's also a Costa Coffee, Yog, a bar and even a beer garden! The very latest IMAX films, some old favourites and highlights from ODEON Plus as well as educational films all add up to a really big experience. BFI IMAX opens at 10.30am and closes 15 minutes after the last public screening commences – check the website for the current programme. Prices vary depending on ticket type and time of day. Groups can consist of any combination of adults, children and concessions. • All public areas are accessible by lift. 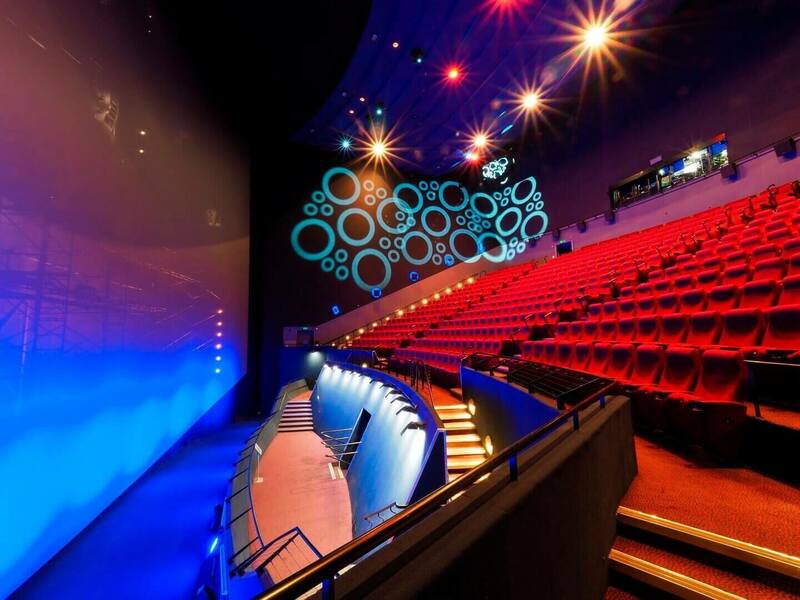 • The cinema has up to eight wheelchair spaces and induction loop facilities. The BFI IMAX Waterloo is famous for their all-nighter events- for the true hard-core fans! The new IMAX screen was made in Canada and once unpacked it took a team of ten strong riggers to haul the 800kg of perforated vinyl up the full 20 metres height of the screen under the supervision of an IMAX engineer.It took 48 hours for all the creases to drop out of the new white screen.